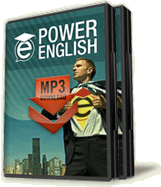 Hi, it’s AJ of Effortless English and Learn Real English. And it’s time for Step Number 5. So you’ve reviewed, you’ve learned the first four steps. Now you’re really ready to get specific and look at the specific change you want to make in your life and to do some very specific things to change some very specific behaviors. So you can see we’re going from very general things that increase your energy, that increase your motivation, that increase your emotion and your leverage, all of those things. And now we’re going to get more and more and more specific so that you can really fine tune what it is you want to change, and so that change is permanent and powerful. Okay, so Step Number 5 is destroy old patterns. See, you’re ready now. You’ve built up all this energy and emotion. And now you’re really ready to make some specific changes. And you really understand what it is you need to change and what it is you need to do differently. So now the question is how, specifically, do you break those old habits and establish new, more powerful ones? S the first step is you’ve got to destroy the old before you can create the new. A lot of people make the mistake, they just try to start doing something new, but then they find they slide back to those old negative destructive habits again and again and again. So how are we going to do this? The simplest easy way to do it is you’re going to scramble your old habits or behavior. You’re going to identify the very specific behaviors that are causing you not to reach your goals, that are causing you not to change. For example, let’s say your goal is to massive improve your English speaking. Well, that’s great. That’s the positive thing you want. Why haven’t you done it? Now first of all it might have been some knowledge about what you need to do. But now you know that, you know that there’s a better method and you’ve learned from our past e-mails what it is you need to do. But maybe you’re still not doing those things. So what is it you do instead, what stops you usually? Usually people have distracting behaviors that prevent them from doing what they should do. For example, a lot of people will watch TV instead of studying English, right? It’s time to study English, maybe it’s after work or before school or during the day, whatever, and you’re thinking, “Oh, I should study English.” And then you kind of, I don’t know, I don’t really feel like it. And then next thing you know, 15 minutes later, 5 minutes later, the TV’s on and you’re watching TV. And suddenly all thoughts of learning English and studying English are gone and you get sucked into the TV for hours and hours. Other people play around on the internet, this is my habit. I don’t watch TV very much but I’ll get on the internet to work, supposedly, and then I’ll find myself just reading articles and playing around and wasting time, not doing the things I should do. That’s my distracting behavior. Other people, y’know, let’s say it’s something else. Let’s say you’re trying to get healthier. Well, of course, bad behaviors in this case would be eating sugary things or eating things that you shouldn’t eat, that you know are unhealthy and yet you find yourself continually doing those things. If you’re a smoker and you want to quit then obviously smoking is the bad habit, the bad behavior that you need to scramble and break. So you’ve got to identify those first. You’ve got to get rid of the old so that you can add in the new. So Step 5 is to destroy the old patterns first. How are we going to do that? We are going to do that very simply by scrambling the old patterns. What that means is that every time you have the thought of doing that old habit you’re going to suddenly and immediately interrupt it. You’re going to kind of shock yourself in some way so it kind of breaks that normal pattern. Let’s say that the normal thing you do is you sit and then you get kind of distracted and then you grab the remote control of the TV and then you turn it on. Well you need to break that at the beginning. So let’s say the point where you start reaching for the remote control, that’s where you’re going to scramble and break it. So what you could do, you could even practice this. You could have the remote control next to you and you could start to reach for it and then right as you’re reaching for it you could slap yourself in the face and go aaahhhh, and act really crazy and stupid. And what this is going to do is in your mind you have a normal chain of things that happen automatically. And by doing something crazy, funny or painful, or all of the above, you kind of break what normally happens. Then you’re gong to go back to normal. And then you’re going to do it again. You’re going to reach over for the remote and you’re going to slap yourself in the face and gaaahh, and scream, and you can do anything. Just as long as it’s crazy, funny, strange, totally different than what you normally would do. And then what you do, of course, any time during your day that you find yourself about to do that behavior you would again, as soon as you realize it, you’d smack yourself in the face or scream or dance around. It doesn’t matter. You’ve just got to do something that totally scrambles and breaks that old behavior. Think of it as like a disc, like a hard disc on a computer. And what you’re doing is scratching it, right? It’s got some saved behaviors, some saved routines. And the first thing you’ve got to do is scratch it and scratch it and scratch it. Tony Robbins talks about this. Scratch that old behavior until it can’t be played again. You can no longer play those old routines. You can no longer access those old habits. This is very, very important. And of course, just doing this is not enough. Like this is another mistake people make. They scramble their old behavior but then they don’t add in something better and we’ll talk about that in the next step. So the important thing is, again, you’ve got to suddenly, in a way that’s very shocking, scramble and break the old habit. Another example of this is some people are trying to quit smoking. They’ll put a rubber band around their wrist. And every time that they have the urge to smoke or they start reaching for a cigarette, they’ll pull it back and whoosh, and they’ll smack themselves on the wrist. And it’s this kind of sudden shock and pain. And that is a great way to break the pattern. Now the problem is if you only do that, it’s usually not enough. If you haven’t done any other four steps before this one and you don’t do the other steps after this one, then just shocking yourself, it’s nice but it’s not enough. You’ve really got to use all the steps if you want to make a complete change never go back. Okay, so what is this again? Step Number 5 is very simple. Destroy the old pattern. Break and interrupt that old behavior or behaviors that’s stopping you from making the improvement you want. So again, going back to our English example, if TV or music or something else is the thing that always distracts you, makes you procrastinate, then you want to actually practice reaching for the remote control or starting to do that behavior and then, y’know, smacking yourself or jumping around or just do something crazy. Do this alone, probably, in your own room. And just do it again and again and again. You’ve got to practice this pattern break, this scramble technique. You’ve got to do it again and again and again and again. You’ve got to do it many, many, many, many times. Just once or twice is not enough. Also the more shocking it is the better it will work. If you just kind of do this…then, eh, it really won’t shock and change that pattern in your mind. You’ve really got to get a little extreme and crazy with it. Like smack the hell out of yourself every time. And practice it again and your face is going to hurt and get really red. But it’ll work, okay? It’ll break that pattern and it will make an opening where you can put something new in it’s place, the thing that you want to do. More about that in future steps. Okay. So again, finally, Step Number 5, destroy the old patterns. Alright, have a great day and I’ll see you again for, of course, Step Number 6. Bye.